Practice the fine art of becoming a warrior with this two-piece wooden sword set! Constructed completely of wood with a black finish and black cord wrapped handles. Includes display stand. Please note these wooden swords are not designed for fighting or sparing usage. 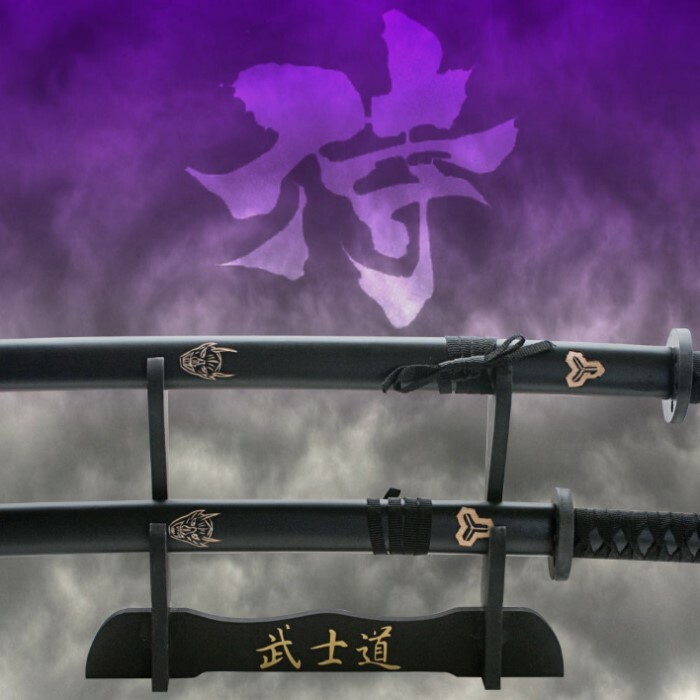 Wakisashi: 18 3/4" blade, 27" overall; Katana: 24 7/8" blade, 34 3/8" overall. Too expensive to ship back! These swords look like something you would win at a carnival. It would have been better to not have painted blacl--just raw wood. Etchings look like a child in a village did them? This item is only able to be used as either a display or just as a technique reference tool NOT FOR ACTUAL SPARRING! 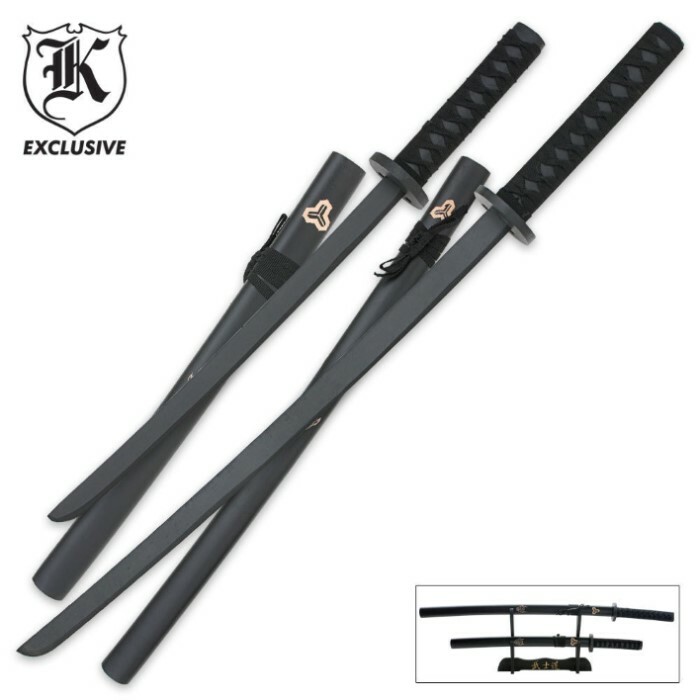 It makes a great toy or for use teaching a child about sword safety and teaching them techniques they can later transfer over to with a real blade.